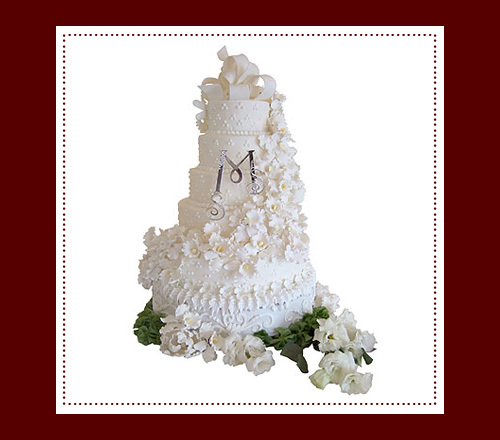 La Renaissance is proud to offer custom cake design services, including for that most special event, the wedding. Shown above is just one of our elegant wedding creations, complete with rolled fondant icing detail and hand-made sugar flowers. We can create just about anything you can dream up. Whether it’s an exotic filling, a contemporary twist on a classic flavor, or an original idea for your cake’s decoration, our custom cake experts will produce a cake to exceed your expectations and delight your guests.